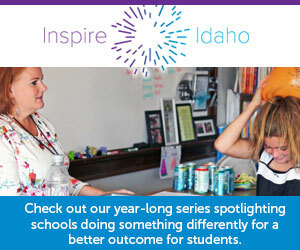 One year into an $11.25 million-a-year literacy initiative, Idaho reading scores are trending upward. More kindergarten through third-grade students are reading at grade level — and fewer students are lagging behind. But the most recent reading scores also illustrate the task at hand. At the end of the 2016-17 school year, more than 23,000 K-3 students still could not read at grade level. The Idaho Reading Indicator is a short test designed to measure a student’s reading fluency. The state has used the IRI, or some version of it, since the late 1990s. But the state will shift to a new reading exam in 2018-19, and 57 schools will pilot the new test this year. The State Department of Education released the spring reading scores this week. 73. The percentage of K-3 students reading at grade level. In the spring of 2015-16, before the launch of the literacy initiative, that figure was 72 percent. 58.8. The percentage of K-3 students who were reading at grade level in the fall of 2016. This percentage reflects reading skills at the start of the school year — and for kindergartners, it represents the first test they take in school. This percentage invariably improves during the course of the school year. 62,404. The number of K-3 students reading at grade level this spring, up from 51,619 in the fall of 2015-16. In other words, nearly 11,000 at-risk readers caught up to grade level over the 2016-17 school year. 23,093. The number of K-3 students not reading at grade level this spring. A year ago, this number was 25,003. Reading instruction is a crucial bridge between the early grades and the rest of a student’s academic career. By the end of third grade, students make the transition from learning to read to reading to learn — so children who struggle with reading are more likely to struggle in the later grades. The 2016 Legislature decided to make literacy a high-profile priority. Lawmakers increased spending on reading programs to $11.25 million, and followed up with another $11.25 million for 2017-18. Schools received their first installment of the new literacy money last fall. That means the spring reading scores represent a first test of the state’s new literacy initiative. The SDE hailed the latest numbers. For state Rep. Wendy Horman, R-Idaho Falls, the key takeaway is the drop in the number of at-risk readers. While 23,000 students still are not reading at grade level, that number decreased by about 2,000 students in one year. But in an interview Tuesday, Horman said she’ll want to see more details. She’d like to see which districts and schools improved the most — and figure out whether the improvements can be tied to increased state dollars. The State Board of Education is “pleased” with the spring scores, spokesman Blake Youde said, but the board also needs more answers. The board is concerned about “summer slide” — and whether at-risk readers will remember what they learned over the previous school year. The board also wants to know if the SDE’s teacher training programs are making a difference. More reading: Link to “Reading Revisited,” an in-depth Idaho Education News-Idaho Public Television series on the literacy initiative. Originally, the state said it would release the test scores in October. Now, the scores might not be unavailable until after Tuesday’s election.